Whether you need them for your professional woodworking or metalworking needs, few tools beat the versatility of a C-clamp. Designed to industrial standards and manufactured from high-quality materials, this 3-inch C-clamp is reinforced at key points, features an extra-strong steel screw that can put up with heavy-duty use, has a large swivel pad that won't scuff surfaces, and is completely enamelled for easy cleaning and rust resistance. Pro Series 3-inch C-Clamp Whether you need them for your professional woodworking or metalworking needs, few tools beat the versatility of a C-clamp. 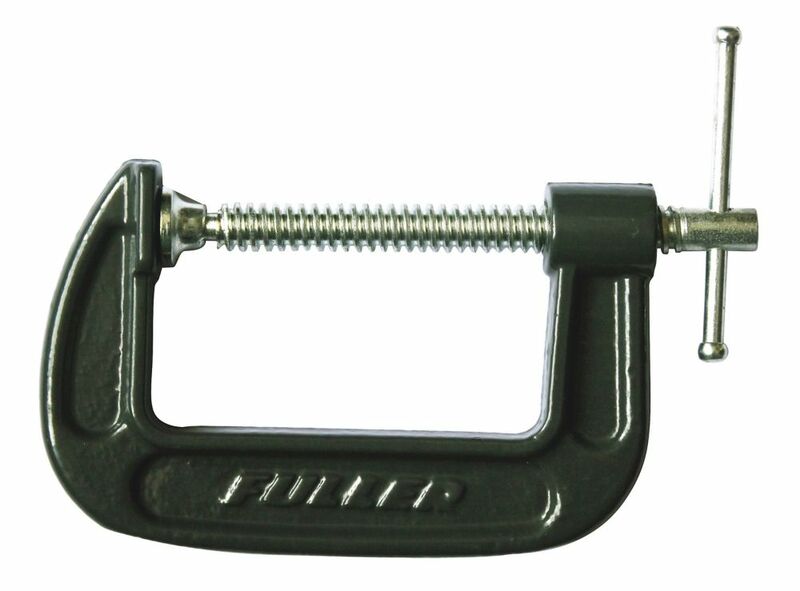 Designed to industrial standards and manufactured from high-quality materials, this 3-inch C-clamp is reinforced at key points, features an extra-strong steel screw that can put up with heavy-duty use, has a large swivel pad that won't scuff surfaces, and is completely enamelled for easy cleaning and rust resistance.